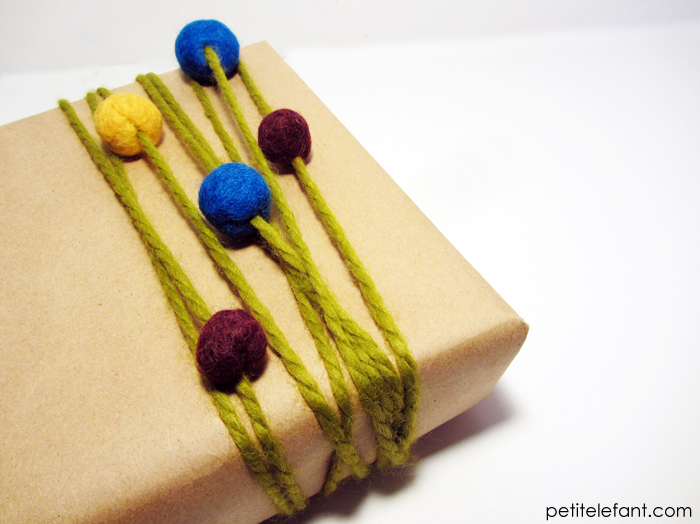 Today, a simple present wrapping (tutorial) with felt balls today, an easy how-to from DIY contributor Steph! December is officially here! Can you even believe it? Holiday shopping time is quickly dwindling and presents need to get wrapped. 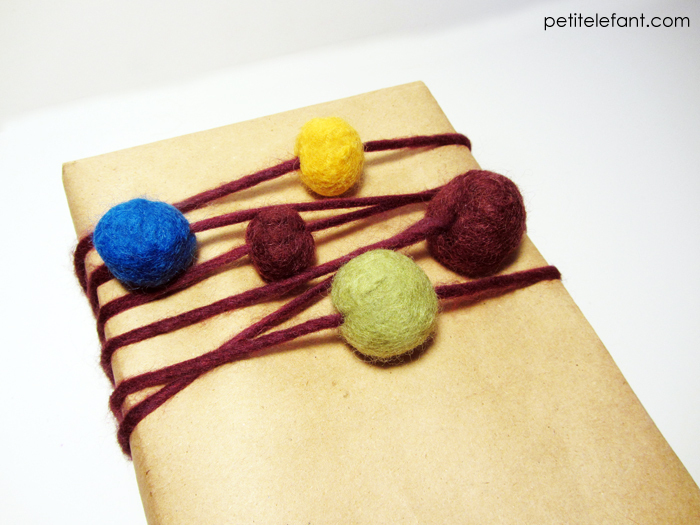 This week’s project is a fun and simple way to wrap your presents for your friends and family using felt balls. Felt Balls: You can purchase these at most craft stores, or if you’re feeling extra crafty, check out my tutorial to make your own! First things first, wrap up your presents! I used brown craft paper since it provides a simple, neutral background for any sort of embellishments (like felt balls, for example) you want to add to the present. 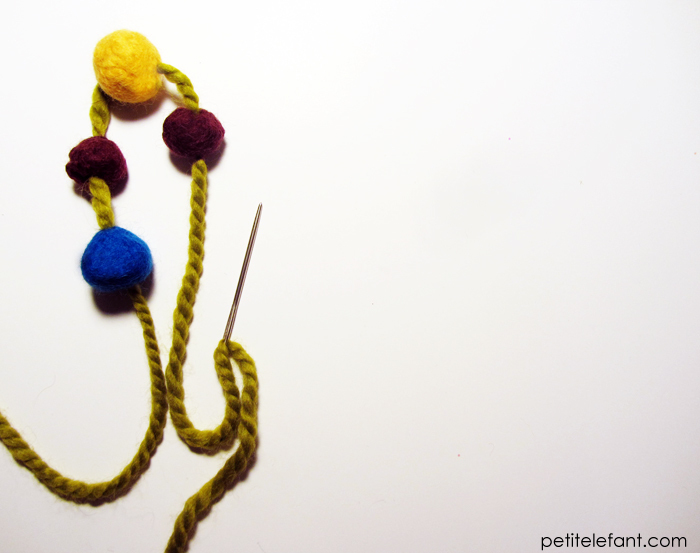 Cut a piece of yarn long enough to wrap around the present 5-8 times, then thread the felt balls onto the yarn. Start wrapping the yarn around the the present and slide the balls into place as you wrap. 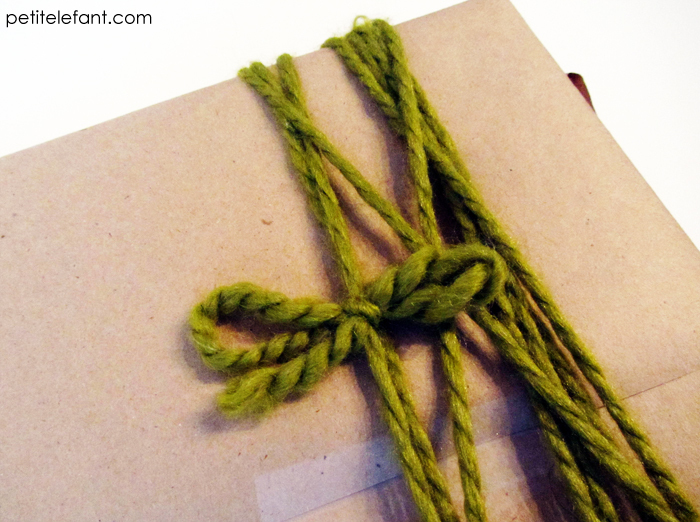 Once the yarn is all wrapped to your liking, tie to secure it on the back of the package. Once the yarn is all wrapped around, you can slide the balls around like an abacus to get them just where you want them. 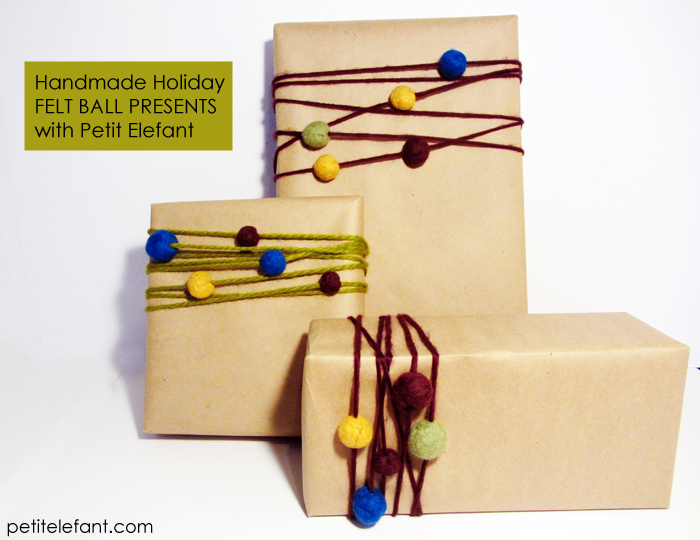 Try using different colors of yarn and balls, and have fun wrapping your gifts this year! Happy Crafting!